The Blume family has served Scioto County's legal needs for nearly 60 years, spanning three generations. Thurl Blume started the tradition in 1955. Since then, Kevin and his son, Justin have proudly followed in his footsteps. T. Kevin Blume is a lifelong resident of Scioto County. 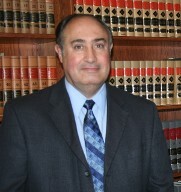 Since 1983 he has been engaged in the private practice of law with an office located in Wheelersburg, Ohio. Kevin graduated from The Ohio State University in 1978 with a bachelor’s degree in business administration. After graduating from OSU, he graduated with honors, from Ohio Northern University College of Law in 1981. Kevin and his wife, Pam, reside in Minford, Ohio. They are proud parents of two sons, Justin and Chris, and enjoy being grandparents to two girls, Elizabeth ("Libby") and Katherine ("Kate") and one grandson, Matthew ("Matt"). Kevin and Pam are big Ohio State fans and have followed the Buckeyes to several Bowl games. Other interests included gardening, cooking and having family gatherings. Kevin is a member of Christ United Methodist Church in Sciotoville, Ohio. He has served in various positions and is presently on the Leadership Team at the church. Throughout his career, Kevin has been active in many civic activities including the following: Chairman of the Board of Trustees for Star Inc., Adult Sheltered Workshop; and he is presently Chairman of the Hill View Retirement Center Board of Trustees. Kevin is a member of the Scioto County Bar Association and The Ohio State Bar Association. Kevin is licensed to practice law in all Courts in the State of Ohio, United States District Court, Southern District of Ohio, and the United States Supreme Court. Justin is a lifelong resident of Scioto County. He graduated from Minford High School in 1999, obtained his undergraduate degree from The Ohio State University, in Columbus in the spring of 2003. After graduating from OSU, he attended law school at the University of Toledo. Prior to graduating from Toledo in the spring of 2007, Justin served as an intern at former Ohio Attorney General Jim Petro's regional office in Toledo and as law clerk for the Honorable Judge William T. Marshall of the Court of Common Pleas, Scioto County. Justin and his wife, Lynnsey, reside in Wheelersburg, with their daughters, Elizabeth ("Libby") Katherine ("Kate"), and son Matthew ("Matt"). When he isn't working Justin spends his time with his family. He enjoys cooking, boating, traveling and supporting the Buckeyes in his spare time. Justin has been practicing since November 2007, first as an associate with Mowery and Blume, where he worked for his father, T. Kevin Blume and current Portsmouth Municipal Court Judge Steven L. Mowery, and now as a partner at The Blume Law Firm, LLC. Justin's private practice consists primarily on family law cases, probate, estate planning, civil litigation, personal injury cases and corporate law. In addition to his private practice, Justin also serves as counsel for several local companies and organizations, including Scioto Water, Inc., the Scioto County Airport Authority and the Scioto County Land Reutilization Corporation. Justin also serves as the Solicitor for the Village of New Boston, Ohio. As Solicitor, Justin is responsible for handling the Village's legal matters, including prosecuting misdemeanor criminal and traffic offenses that occur in the Village before Judges Russell D. Kegley and Steven L. Mowery in the Portsmouth Municipal Court. In conjunction with his legal work, Justin is committed to serving the community and strives to make it a better place for everyone. Justin currently serves on the Leadership Team at Christ United Methodist Church, in Sciotoville, Ohio and supports local high school students with mock trial as a competition judge, and as a former adviser for the mock trial team at Minford High School. Prior to being appointed as the Solicitor for the Village of New Boston, he served on the Honorable Judge William T. Marshall's Drug Court. In 2014, Justin received the Community Service Award for Attorneys 40 & Under from the Ohio State Bar Foundation. 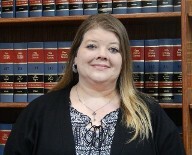 Deanna Wallace has worked at our office specializing in Family Law for over seven years. As an integral member of the firm, Deanna’s guidance throughout the process helps our attorneys assists clients with divorce or dissolution, child support, child custody, shared parenting and adoptions. She also has had experience in the legal field in Civil Litigation, Personal Injury, and Medical Malpractice. 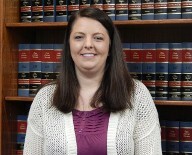 Deanna is a graduate of Wheelersburg High School and attended Shawnee State University. She is a vital asset to our firm with her experiences in all the above legal fields. Deanna and her two children, Kaylee and Damien, reside in Portsmouth, Ohio. Pam Blume wears multiple hats at The Blume Law Firm. She has been married to Attorney Kevin Blume for 41 years and they are proud parents of two sons, Christopher and Justin. She handles many of the firm’s business aspects such as accounts receivable, accounts payable, and other accounting aspects of the business. With many years of office management experience, Pam fills a key support role for our attorneys and clients. She was born and raised in Scioto County. She graduated from Valley High School and attended Ohio University and Shawnee State University. Pam enjoys working with her husband and son at the firm but she admits that her favorite job is being able to be with her two granddaughters, Libby and Kate and her grandson, Matt. Janele is a graduate from Minford High School and obtained her Associate Degree in Respiratory Therapy and Bachelor Degree in Health Care Administration. Janele is our receptionist and the person whose voice you will most likely hear when you call us. She performs various duties and is responsible in welcoming and assisting our clients. Janele explains, “One of the best ways to find an attorney is to consult an attorney you trust.” Janele’s friendly smile along with her work ethics allows our clients a smooth transition to the firm. Janele is the mother of two boys, Jaekyn and Javyn, and the wife of Jeremy. They reside in Minford, Ohio. 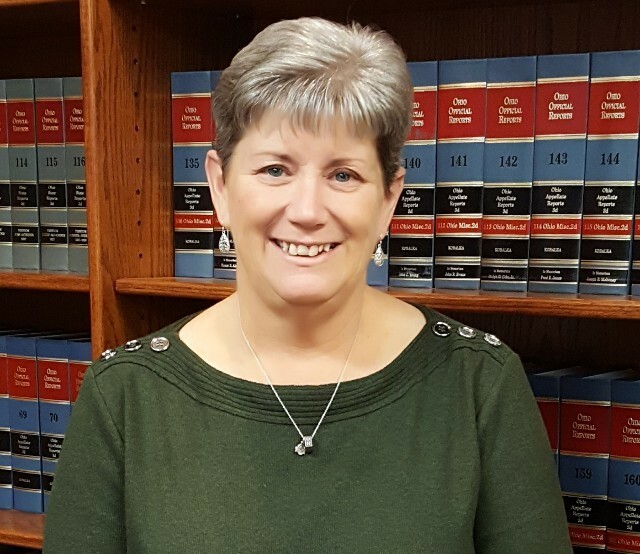 Deanna Price came to our firm in 2018, with 30 years of experience in the legal field. For the firm she specializes in the areas of estate administration, guardianships, personal injury and civil litigation. Deanna is a graduate of East High School (now Sciotoville Community School) and attended Shawnee State University majoring in accounting and secretarial services. Deanna is married to Mark and is the mother of two children, Lacey (Randy) Ratcliff, and Hannah. She is also the proud grandparent to Noah. She attends the Porter FWB Church where her husband is the Pastor and lives in the Wheelersburg area. Call The Blume Law Firm, LLC to learn more or to request an appointment. No attorney-client relationship. The Blume Law Firm, LLC maintains this website exclusively for informational purposes. It is not legal or other professional advice and does not necessarily represent the opinion of The Blume Law Firm, LLC or its clients. Viewing this site, using information from it, or communicating with The Blume Law Firm, LLC through this site by Internet email does not create an attorney-client relationship between you and The Blume Law Firm, LLC. Nonreliance. Online readers should not act or decline to act, based on content from this site, without first consulting an attorney or other appropriate professional. Because the law changes constantly, this website’s content may not indicate the current state of the law. Nothing on this site predicts or guarantees future results. The Blume Law Firm, LLC is not liable for the use or interpretation of information contained on this site, and expressly disclaim all liability for any actions you take or do not take, based on this site’s content.